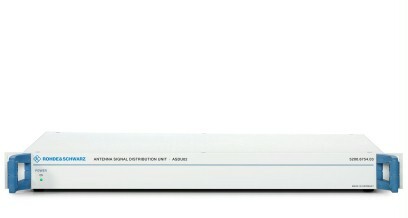 The R&S®ASDU02 is an active multicoupler for distributing signals from one antenna to multiple receivers. To create ideal receiving conditions, two multicoupler modules have been developed for the R&S®ASDU02. The HF module covers the 10 kHz to 30 MHz band, the VHF/UHF module covers the 20 MHz to 3 GHz band. Each multicoupler module first amplifies the signal at the antenna input by using broadband low-noise amplifiers with wide dynamic range. As a result, the distributed input signal is made available at the four outputs of the multicoupler module without any loss in level. All inputs and outputs have N female connectors. The broadband amplifiers in the multicoupler modules have an extremely wide dynamic range. They can linearly amplify exceptionally weak signals, even if they occur directly next to signals with extremely strong levels. This makes the R&S®ASDU02 ideal for use in radiomonitoring applications. 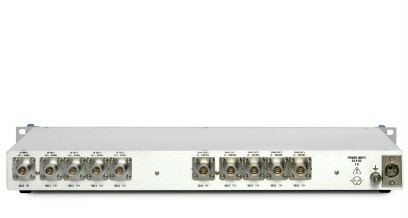 The modules feature high port-to-port isolation to prevent the connected receivers from affecting each other, e.g. via local oscillators or synthesizers. The BITE option allows the hardware status of the two multicouplers to be monitored. The internal voltages of the modules and the power supply unit are also measured. As an additional highlight, the operating points of the broadband amplifiers are monitored. The measurement results of the BITE option are output on the rear of the device via one Ethernet interface (TCP/IP) per module. All relevant data is always available in realtime. The device is also controlled via the Ethernet interface. The interface is installed and configured using an intuitive program. With the BITE option, the R&S®ASDU02 can be easily integrated into existing systems. The stable enclosure accommodates two multicoupler modules. The modules’ inputs are protected against overvoltages. Occupying only one height unit, the R&S®ASDU02 saves space in any rack. Slight variation of performance features at frequencies below 500 kHz.